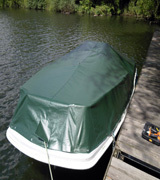 AM Marine Trimming supply made to measure tonneau covers which enables us to cover just about any design of boat. If necessary and if the cover is in a reasonable condition we may be able to copy your old cover and provide the necessary equipment for self - fitting. 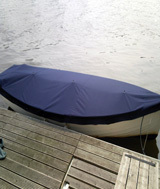 This service works well for boats that are kept abroad and those we are unable to gain access to.